"Be a shark and cause havoc!" 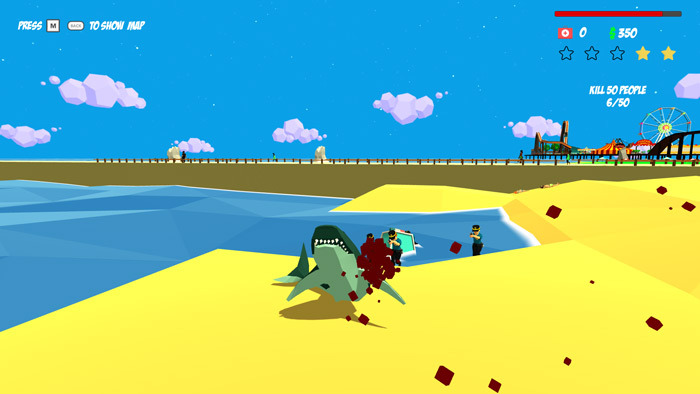 Shark Simulator is a brightly colored, low poly game where unsurprisingly you play as a shark and your objective is to kill as many innocent beach goers as possible. The landscape looks good and it’s certainly a fun place to swim around in the water’s edge just off the edge of what bears a striking similarity to Los Angeles but what is even more fun is getting on to the beach and either eating or crushing as many people as you can, but beware the police will be quickly on hand if you stay on the shoreline too long and savage too many people and they will come armed so if you don’t hastily retreat beware the police may put an end to your reign of terror. While it feels a bit rough around the edges, you can never really go wrong with a good animal simulator game and with a few improvements this could be a really fun, interesting and explosive game. 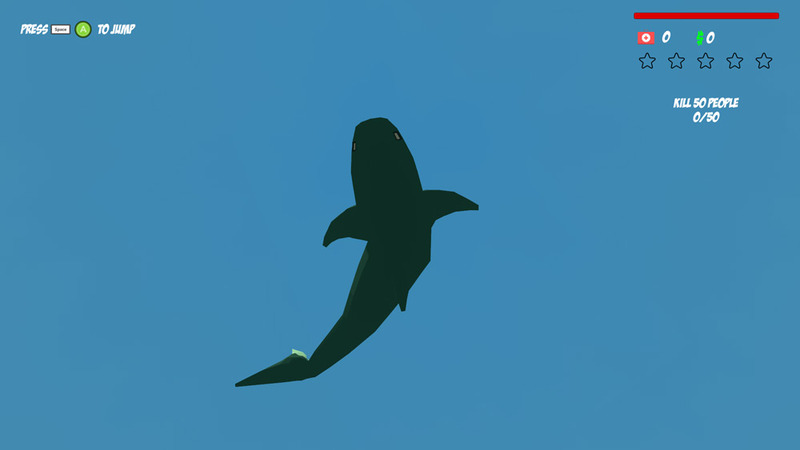 You can download Shark Simulator here for free.